Older adults face a number of changing health concerns that can affect their lives in surprising and unexpected ways. Many older adults report less satisfying sleep, wakefulness, and difficulty staying asleep. Though some people believe that restless sleep is just part of growing older, this common concern is actually linked to pain. How so? 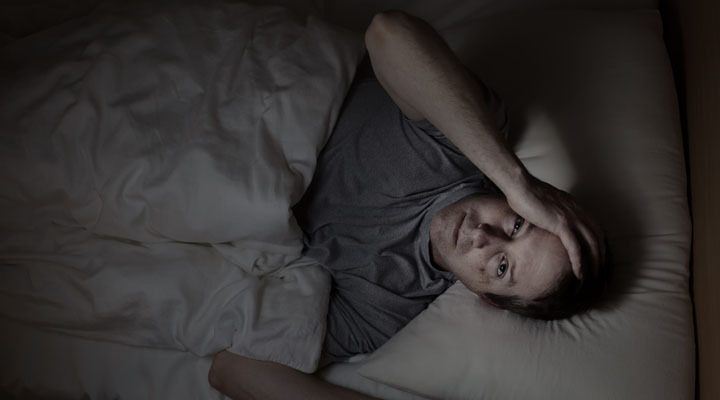 Simply put, restless sleep that does not leave you feeling restored is actually risk factor for the development of pain, especially in older adults. Sleep difficulties should be taken seriously and addressed early on so as to avoid the kind of widespread pain that many older adults experience as they age. Is Pain Just a Part of Growing Older? Overall physical and psychological health – Someone who has made the effort to maintain good physical and mental health is less likely to develop widespread pain in their 60s, 70s, and 80s. Taking proactive steps at any age is especially important for people with other pain-related risk factors. Memory problems and anxiety – A strong link between a person’s memory and cognition and their risk of developing widespread pain has been established by recent rheumatology research. If you are at risk for developing memory problems then taking steps to prevent the development of pain conditions is suggested. Poor sleep – A lack of restorative (restful and satisfying) sleep is another contributing factor to one’s risk of developing widespread pain. Older adults need to treat sleep problems as a warning sign. Though up to 80% of adults over the age of 65 experience some sort of bone, nerve, or muscle pain, these symptoms are not necessarily the automatic result of getting older. Your pain matters and should be taken seriously. There are a number of ways that you can improve your personal sleep routine. Caffeine is one of the most common causes of wakefulness, so cut back on the the amount of soda, coffee, and tea you drink each day and limit their consumption to morning only. Some medications are known to cause wakefulness and insomnia, so check your prescription information sheets to learn more. Your doctor may be able to adjust the dosage of medicine that you take, prescribe something different, or recommend other strategies to minimize this side effect. Your family doctor is going to be one of your most important allies in correcting sleep problems. He or she can help identify the deeper causes of sleep troubles and will make personalized recommendations on how to correct them. Together, you can experience more restorative sleep.